KORU® apple is a gift from nature. 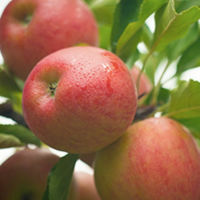 From a discarded apple in a rose garden, grew a seedling, which grew into an extraordinary new apple variety. 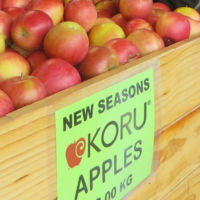 Meet Braeburn’s new sweeter cousin the KORU® apple. 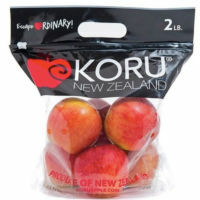 The KORU® apple is crisp, sweet and juicy with complex aromatic honey flavors, has a slight acidity and is slow to brown. Taste KORU® apple raw, baked or cooked in your favorite recipes! KORU® apple is multi-picked at peak perfection following specific grade standards for unique orange tinge and consistent perfect quality. 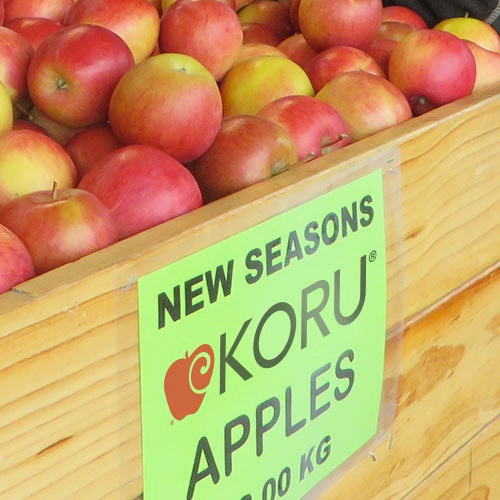 Due to KORU® apple’s soaring popularity, orchards expanded from New Zealand to the Northern Hemisphere, to supply fresh fruit to you all year round. 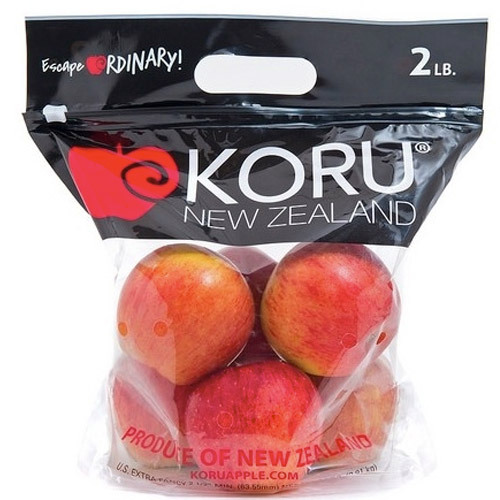 Our incredible KORU® apples are available at numerous locations across the United States. Use our store locator to find a retailer near you! Click here for KORU® Apple recipe inspiration!